Enjoy an evening of live music by Jack Edery. Complimentary dessert and wine. Enjoy artwork by your favorite local artists and support your local art guild. 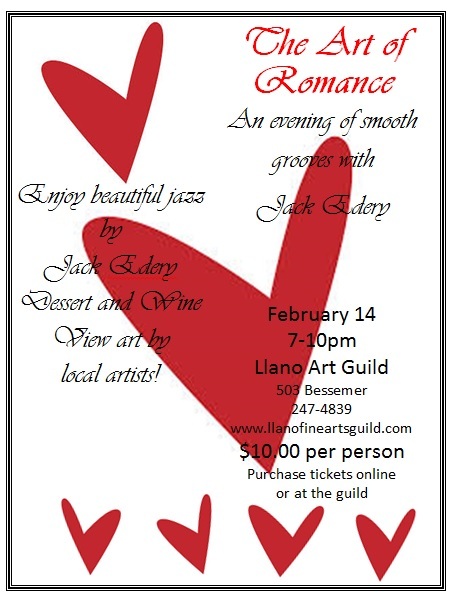 Single or attached, enjoy a night out and it's for a good cause - the promotion of the arts and art programs in Llano. Thank you for your support!